I was enthralled with his designs. Many with a free motion effect on the cutting. The above one is a little more traditional. 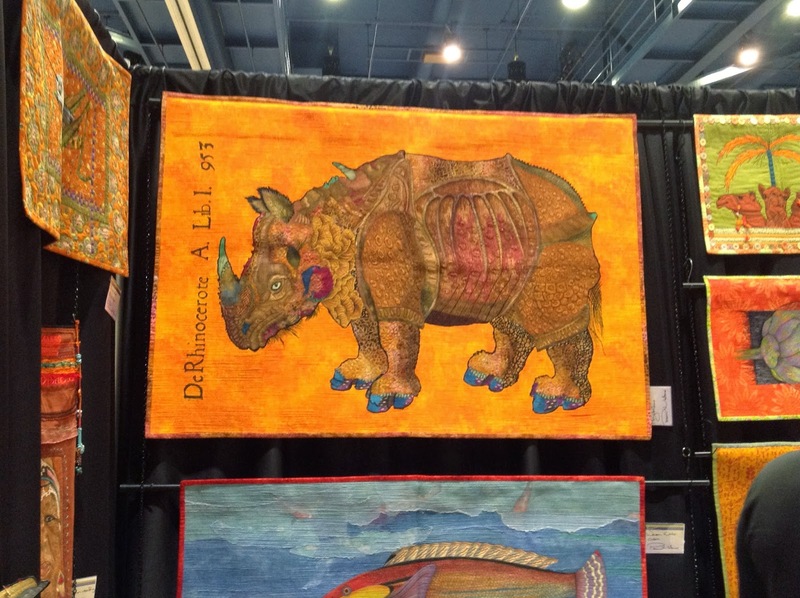 He explained where his ideas come from and how he goes about getting them to be quilts. It was quite a story. He does have a book that I will be buying on that process. 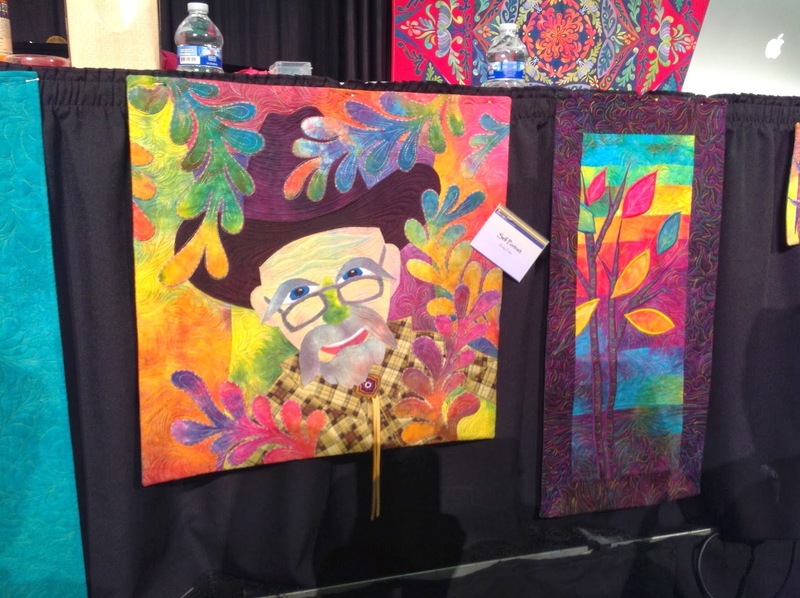 He started out as a long arm quilter and has two books on machine quilting. Very enjoyable presentation. I'm sorry I didn't sign up for the class he is teaching today. I will definitely watch for him to teach around here again soon. UFOs - Will They Never End? What is an UFO? Unfinished Objects! And I have many. Mostly quilts. Craft projects I tend to finish. 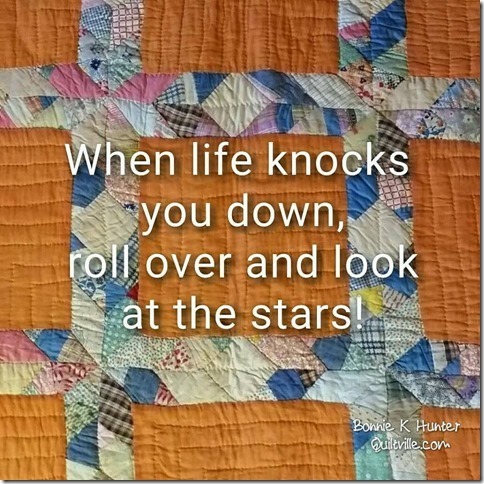 Quilts are longer projects that are fun to shop for, fun to start, but after awhile, I need a new fix and start a new one. Sometimes I put aside a quilt project because I need border fabric. Sometimes I need to quilt the finished top. Sometimes I goof up (oops!) and don't want to rip it out and fix it. There are a lot of reasons for having partially finished quilt projects. But I have too many. I bought a book last summer of Farmer's Daughters quilt block patterns. The finished blocks are six inch squares. There are over a hundred blocks in the book. I figured, tee hee, that if I would do one block a week, in two years I could put together a beautiful quilt. I came home after buying the book and immediately made my first block. Block #1. Finished. Yeah. It took me two days to make this block because the size of the pieces inside the block. I posted that cute little block up on my wall with great pride looking forward to her sister blocks being there with her. Oh my poor lonesome block. There it sits staring down at me. All alone it is. No sister block next to it. None even started. I'm not even sure where the book is now. Okay, optimistically now, I can make that quilt in three years! I joined my guild's UFO Challenge in January. We were to list ten, only ten, UFOs to complete this year - 2014. Okay. Incentive. That's what I need. This will make me work on those quilts. I'm not going to get up at the end of the year and confess I didn't get any completed. 1. Embroidered Car quilt. I started this quilt about a year ago. It has several embroidered blocks of old cars and pickups and road signs and a map. The embroidery is done. Now the piecing. Lots and lots of flying geese. I have two of the pieced blocks done. None of the flying geese. I did buy the backing last week. Maybe with that fabric staring at me, I will be encouraged to get it all out and finish it. Maybe. 2. New York Beauty BOM. Started that last January. January 2013, that is. There were four blocks a month to make in a six month BOM program. I've done 12 blocks total. 3. I took a class given by Peggy Martin where we designed our own blocks. Loved the class. Made three blocks in class. They are large blocks and figured I should make six for a good sized quilt. I've made three blocks, did I say? 4. Dotted 30s. That's a queen size quilt. Finished that in July 2013. Well, not finished. Completed the top. Need to quilt it. Okay, okay. Don't push me! 5. Halloween quilt 2013. I make a Halloween quilt every year. I have more Halloween quilts than anything else. Love the colors. Love the designs of Halloween. Well I didn't get the top finished until after Halloween, so it is in my needs to be quilted pile (pile of 8 quilts). 6. Christmas Spiral. 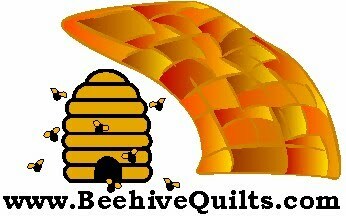 I sold several of my quilts this past year. When Christmas came around I had only one to display. Only one! So I started another one in December. I knew I would not get it totally finished before Christmas. I did get the top finished. Needs to be quilted. But hey, I have 10 more months. No big deal. 7. In my Christmas Spiral quilt (see #6 above), I made a bunch of pinwheel blocks without a pattern in mind. When all was said and done, I had 12 - 10 inch pinwheel blocks left. So I made another quilt top. Still needs quilting. 8. Wildflower Rhapsody. No not the big beautiful BOM some people did a couple of years ago. This one is made using Wildflower Rhapsody fabrics. It is done. As I sit here, I cannot even remember what the design is. Still needs quilting. 9. 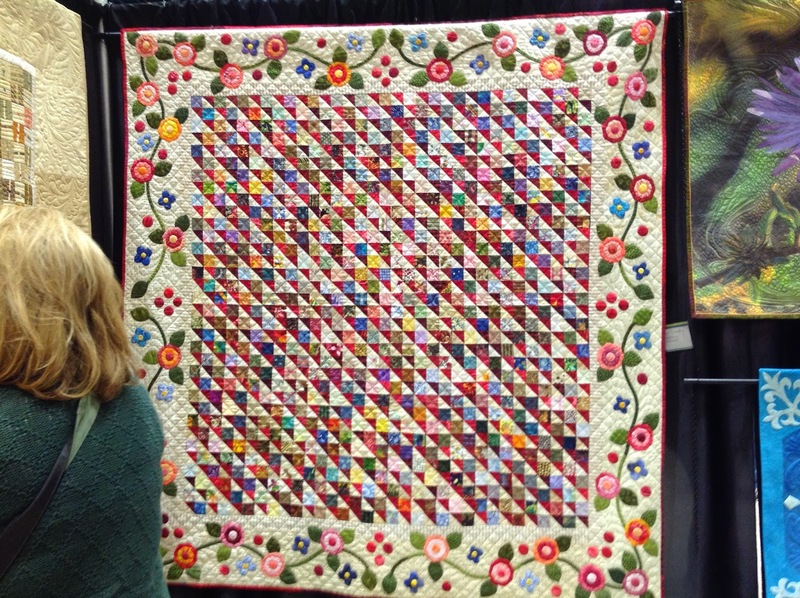 In November 2012 I started a quilt using a couple of charm packs of Americana fabrics. I finally finished the top in September. Needs quilting. Hmm, I see a pattern here. I can't seem to get these things quilted. 10. Garden Flowers. I love to embroider. I embroidered 15 blocks of different sizes of wild flowers in baskets. I started the embroidery in July of 2009. They are done and have been since 2012. I cannot find the pattern to do the piecing around them and I'm too lazy to figure out my own quilt design. One of these days I will either clean up my sewing studio and find the pattern or. . . ? I wrote this UFO Challenge list up the first week of January. My 2014 Bucket List of quilting events to be done. Since then, I bought and made a top for a raffle for my husband's golf course. I'm designing a moose applique quilt. I bought a pattern and some black and white fabric to start a quilt for someone special for Christmas. I finished a quilt for my niece's baby. I bought fabric and made a Ricky Tims' Convergence quilt. And I bought five yards of Ricky Tims' hand dyed fabric - with no pattern decided on. Oh and I bought a new ruler that I haven't even opened yet. And I finally found a pattern to make for my son and his fiance's wedding present. Must start that soon. Okay, okay. I will get to those UFOs. One of these days. Now why did I start writing about UFOs? Oh that's right. I found a small table runner that was made in 2007 and never quilted. I quilted it. Thought you would like to see it. See I do finish things. Eventually. 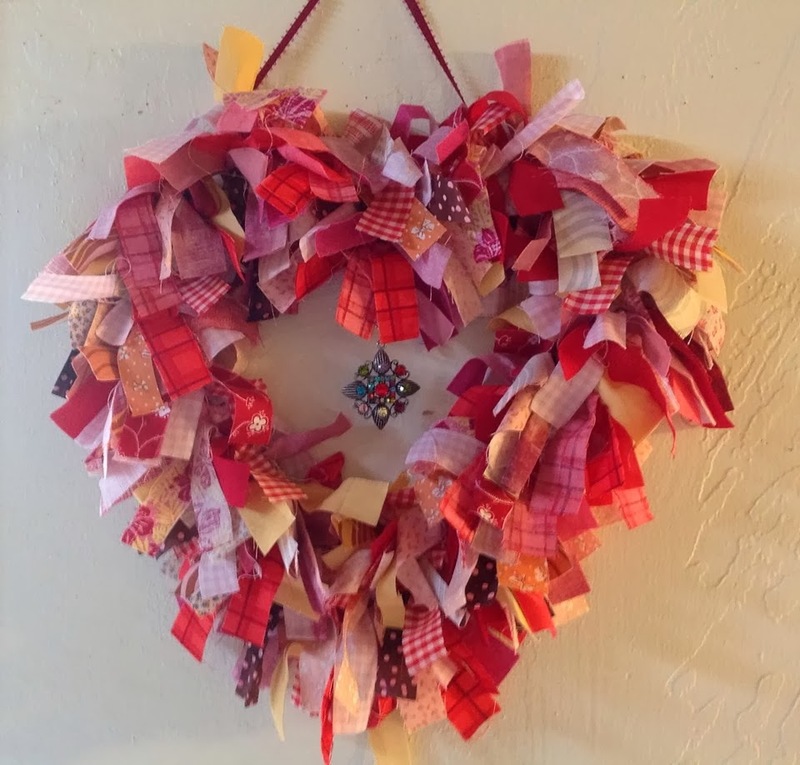 I made this heart wreath for 2014 Valentine's Day. Turned out pretty good, I would say. Easy to make. I bought a heart shaped wire at Hobby Lobby. Came home and got out all my reds, pinks and and a couple of yellows. Cut the fabric into 1 inch by 10 inch lengths. Then I tied them onto the wire frame. I tied it fairly thickly so it would look full. I then spent 20 minutes pulling loose threads from it all. Some threads make it look shabby chic. Too many threads made it look incomplete. I then took a ribbon and tied it to the top of the frame so I could hang it on the wall. I was going to hang it on my door, but I was concerned the amount of water in the air would make it sag. So I kept it inside. That way I get to look at it every day anyway. After it hung on the wall for a couple of days, I decided it needed something more. I went back to Hobby Lobby (oh oh) and purchased the bling that is hanging in the center. I think it added something to it. A friend contacted me after I posted the picture on Facebook and asked how I did it. She wants to make one with her granddaughter. Easy to do. If you can tie a knot, you can make this wreath. Hope she has fun doing it. Ricky Tims' Seminar - What an experience! 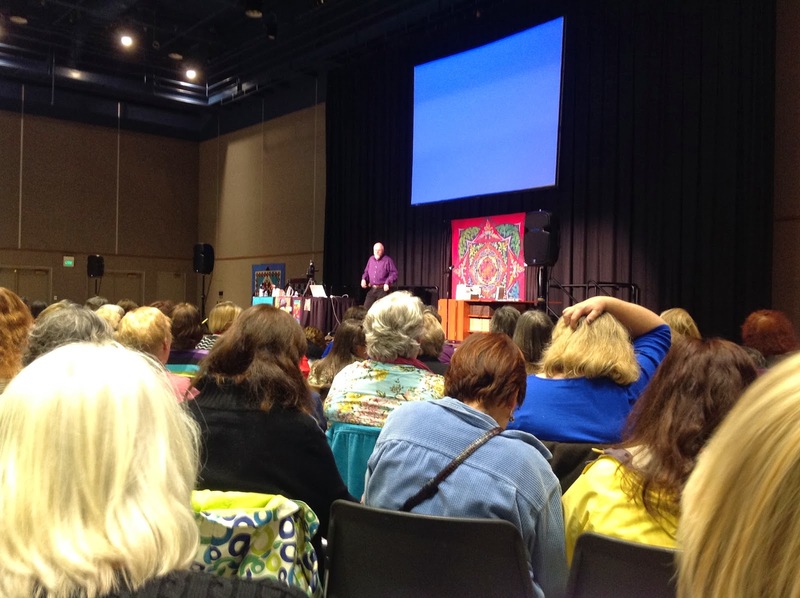 From Thursday afternoon to Saturday evening, my friend Venita and I and over 300 other people were led through a variety of quilting techniques, home-spun stories, best sewing machine feet instructions, hand quilting dos and don'ts, "you can do this" ideas, music and so much more. Lots of "Chantells." You have to go see Ricky to find out what a Chantell is. We were even given a recipe for a five star restaurant appetizer. These were three days of fun, laughter and even a few tears that I'm so glad I participated in. Thursday afternoon. 300 plus participants. We were off to the side, but because of our location and the big screen, we saw everything that went on. On Friday and Saturday, we stayed on the side but more up front. I honestly don't think there was a bad seat anywhere the way they set up the stage and seating. This is a self portrait of Ricky. Pretty good likeness of him. Also presenting was Pam Holland from Australia. I could listen to her speak all day. Loved her accent. This is just one of many of her quilts on display. See more at her website at www.pamhollanddesignsandproductions.com..
Alex Anderson was the other presenter. The above is one of her quilts. She is more of a traditionalist quilter, as am I. I bought two of her patterns. Both look pretty involved. Hopefully someday I will work on them. 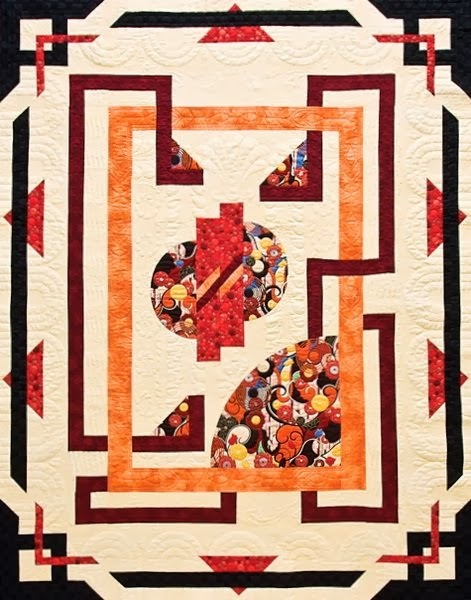 See more of her work at www.alexandersonquilts.com. Ricky had patterns, CDs of his music and DVDs of his quilt work, his hand dyed fabric (which I bought tons of) and many notions for sale. His website is www.rickytims.com. Wonderful weekend. Exhausted and glad to be home.